A lavish cascade of sparkling petals, the Bloom pendant by Kartell mixes inventive use of materials with all the complexity of a unique handcrafted piece. To produce the corseted silhouette of this spectacular pendant, an innovatively made tubular framework is overlaid with a complex structure of tiny polycarbonate flowers. 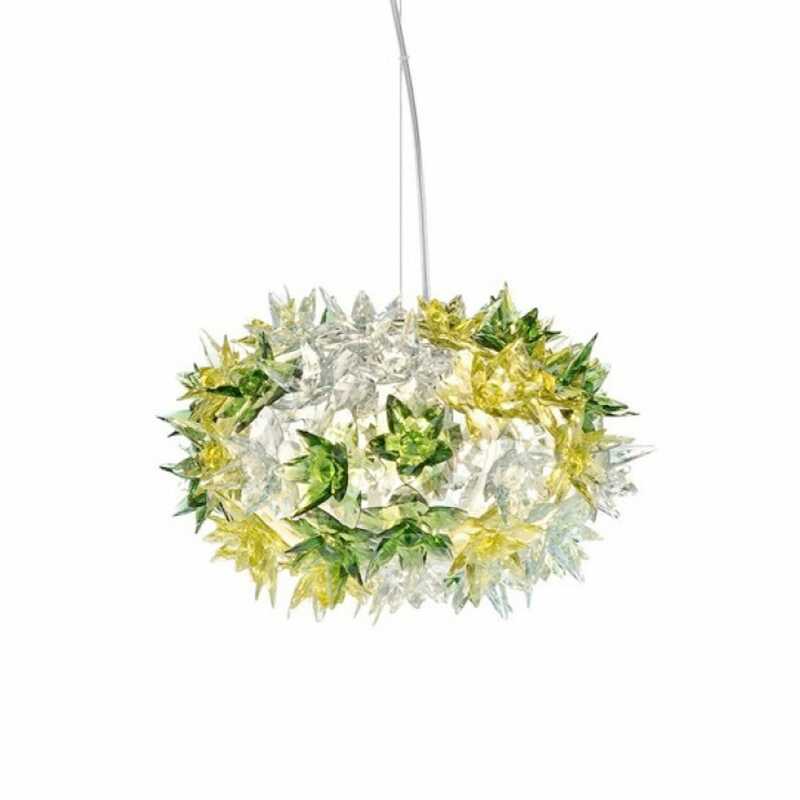 The Bloom pendant is covered in sparkling polycarbonate flowers, which glisten when the light is switched on. This pendant is made up of a series of little lights located on the internal frame which beams light through the petals which then reflects on their faceted surfaces.